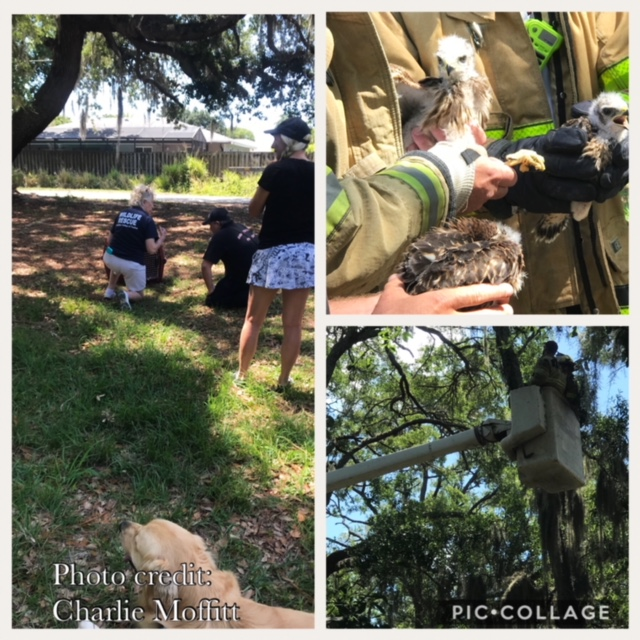 Three fledgling red shoulder hawks were released back into Red Bug Slough Preserve on May 23rd after a month-long stay in the Wildlife Center of Venice rehab facility. Although none of the fledglings were visibly distressed at the time of rescue, they were brought in to be cared for alongside their mother, who was found distressed on the ground by her nest in late April. Unfortunately, the mother eventually died due to suspected poisoning, but not until after adopting a fourth fledgling, who is yet to be released. 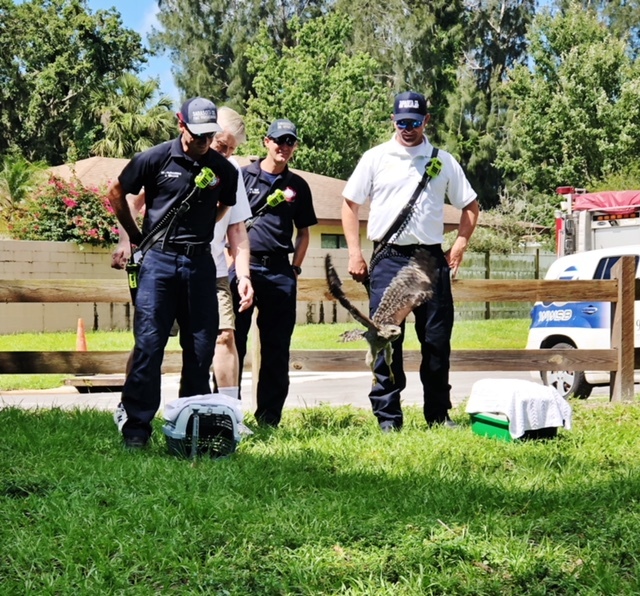 A job well done by the Wildlife Center of Venice, Sarasota County Emergency Services personnel, and Red Bug Slough residents! 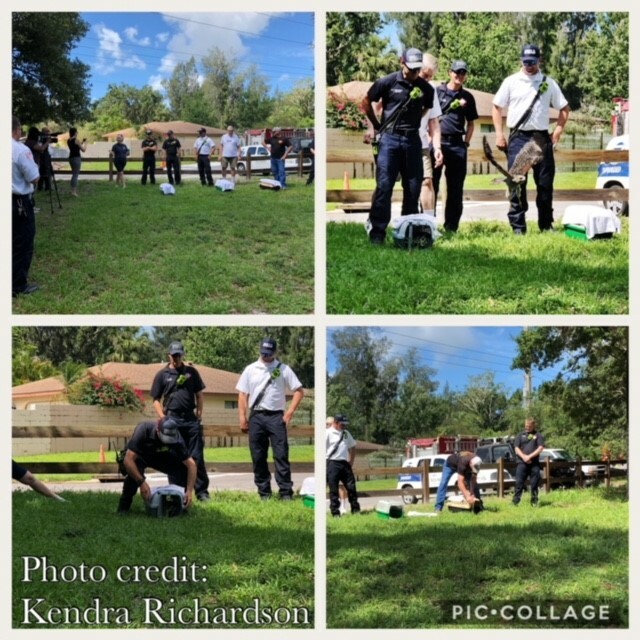 Thank you to Charlie Moffitt and Kendra Richardson for documenting this great collaborative effort.